Video presentation featuring Esparza's Restaurante Mexicano, a Mexican restaurant in Grapevine, TX offering Tex Mex cuisine and famous for notorious Margaritas. Sip on a notorious margarita while relaxing on the outdoor patio, or dip into some homemade salsa and chips in any one of the many dining areas. 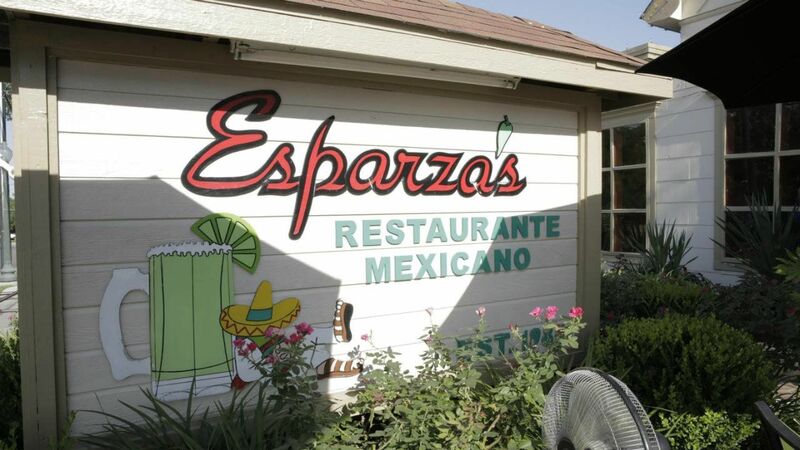 Because of Esparza’s outstanding service, great tasting food, warm atmosphere, spacious patio, and crowd pleasing margaritas, it is an established tradition for many. Conveniently located to great shopping and attractions, it is a great way for newcomers to experience Texas hospitality. Esparza’s and all it has to offer is hard to beat any day or night of the week. "Famous for Tex Mex, Notorious for Margaritas"
Esparza’s Restaurante Mexicano is a well known and long loved tradition that is a popular part of the downtown Grapevine experience. Just a short walk off of Main Street on E. Worth Street, the restaurant occupies a late 1800’s renovated house inside the historic district. Well known for its atmosphere, Tex Mex dishes, margaritas and local scene, Esparza’s has been offering a little something for everyone since 1985. The menu is loaded with a wide variety of delicious dishes and offers a great selection for children as well. You can watch any of our 7 HD TV’s in the full bar area for “can’t miss” sporting events or just enjoy a casual beverage at the bar.